“Hidden Treasures” is the title of the Historical Society of Windham County’s exhibit at the Moore Free Library’s Crowell Gallery. As with most museums, space doesn’t allow the Historical Society to display more than a small fraction of the important items which are part of its collection at the Windham County Museum. The month of July at the Crowell Gallery however brings a wide range of those otherwise never-seen items into public view for the first time and offers a glimpse of the Historical Society’s extensive collection. The Historical Society will host an opening reception on Sunday, July 8 at 3:00, and present historical background on the exhibit’s “Hidden Treasures.” Refreshments will be served. 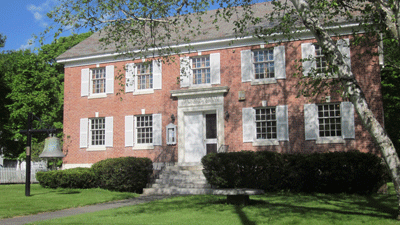 The Moore Free Library is located on West Street, in Newfane Village.